Wow, what a great turnout for our Color Challenge last week.. How Gorgeous were those colors? A big Thank you to everyone who joined us. We'd love seeing all the new faces and seeing those of you who stop by regularly joining us. We'd also like to remind everyone to please Link directly to your post for the challenge and not just your main blog address.. This makes it easier for us to leave some comments on your project. Once again you didn't make it easy for us to narrow the picks down. Thank you again to everyone who joined us.. We'll see you all back here again tomorrow for a fun new challenge! Thanks Annette! I am totally delighted you picked my card as your favorite! I'll send you a big hug! Congrats to all the other top cups! Thanks so much for choosing my card, Shannon - I LOVED this color combo! Congrats to the other winners too-great cards! 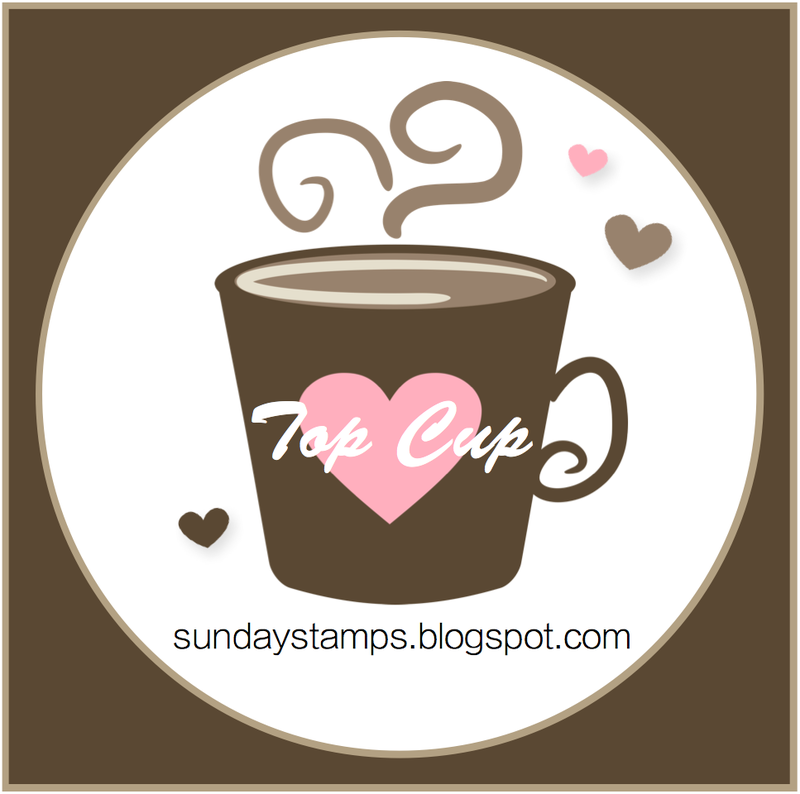 Thank you, Monika, for selecting my card as a Top Cup! I really enjoy this challenge blog. Katie, thank you so much for selecting my card as one of the Top Cups! Congratulations to all the others who were chosen.